How to find money for home upgrades? Everyone dreams of upgrading their home as it means that you have more space and can enjoy the things you love. However, most of us work within tight budgets and funding home upgrades can seem difficult. 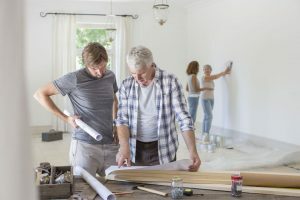 Here are some simple ways you can gather the funds to make your home upgrade dreams come true. Is your project a good investment – You want your investment to increase savings or increase the value of your home. For example, if you are looking at upgrading your home appliances to more energy efficient appliances, consider how much you will save from the switch. If you are looking at increasing the value of your home, start with upgrades that increase your home’s curb appeal. For example, giving your home a fresh coat of paint or changing your front door can instantly change the look of your home. Always make sure that your investment adds value to your home before starting a new project. Make a budget before borrowing – You will have a basic idea of how much you are willing to spend on a renovation. To confirm your budget, browse online websites and find out how much your renovation will cost. Remember to pad contractor estimates by at least 10 percent. If you intend on doing the upgrade yourself, add a further 20 percent to take into account any mishaps that happen on the way. Use promotions – Credit cards often offer interest-free purchases for big-ticket home renovation appliances and furniture. Look at obtaining a credit card that offers a discount at the stores you are considering.